Tuccini is a popular online store for consumer cologne, fragrances, skin and hair care products, in addition to other similar items. 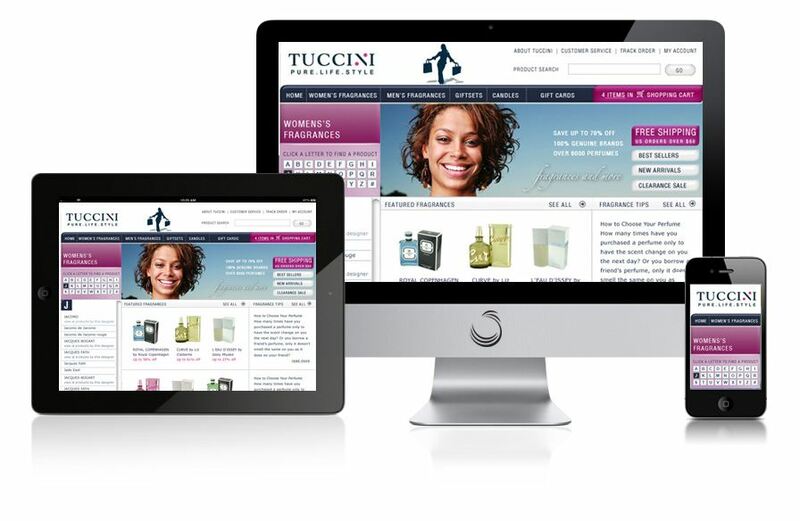 Tuccini trades both on retail and wholesale level with lots of products available online readily through their website. The e-commerce website is loaded with product showcases in a wide range of categories enabling for simple conversion and navigation. Online shoppers can make use of the shopping cart to purchase products, research product specifications, reviews, and photos, in addition to shipping information. Payments can be made directly via PayPal, credit card, or other similar methods. We developed the corporate brand and company logo which has been integrated into all promotions, collateral materials, and company presentation.